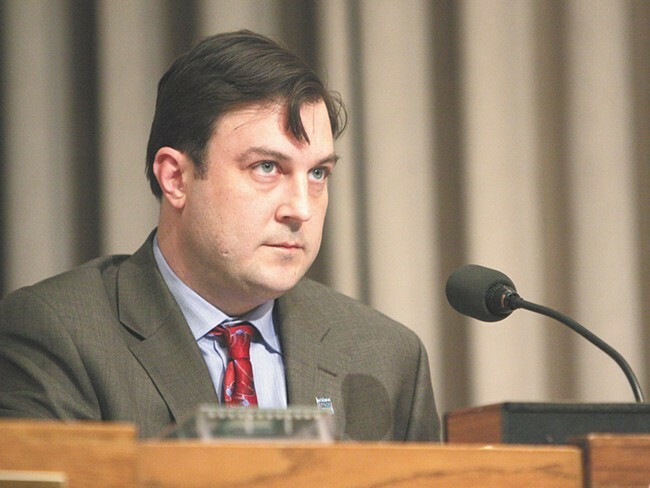 City Council President Ben Stuckart has introduced an ordinance that would allow people convicted of misdemeanor possession of marijuana in the city of Spokane to apply to have their records cleared through the municipal court system. “It wouldn’t be anything outside of the normal procedures the municipal court already does,” Spokane City Prosecutor Justin Bingham told the city council’s Public Safety Committee on Monday, when the ordinance was first introduced. Despite marijuana’s legal status in Washington, having a past misdemeanor marijuana conviction can be a barrier to housing, education and jobs. If someone successfully applies to have their conviction vacated, their record will show that the charge as having been dismissed. In Oregon, the legislature passed a bill shortly after voters legalized the drug creating a process for individuals to have past marijuana convictions sealed. In Colorado, which also has legal pot, a court of appeals ruled last year that some convictions can be overturned. However, in Washington, similar efforts in the legislature haven’t gotten the same traction. The ordinance sponsored by Stuckart is modeled after a bill that died in the legislature. You can see the language of the proposal below. Justin Trudeau, Canada’s new prime minister, says he intends to legalize marijuana, which could have important implications for the rest of the developed world. A new Gallup poll shows that 58 percent of Americans support legalizing marijuana. In Michigan, a "bona fide medicine man" for the Oklevueha Native American Church lost his court case arguing that his use of marijuana was protected by the First Amendment. In case you had any doubt about the presence black market for marijuana in Washington state, officials raided an illegal grown worth $2 million in Renton.